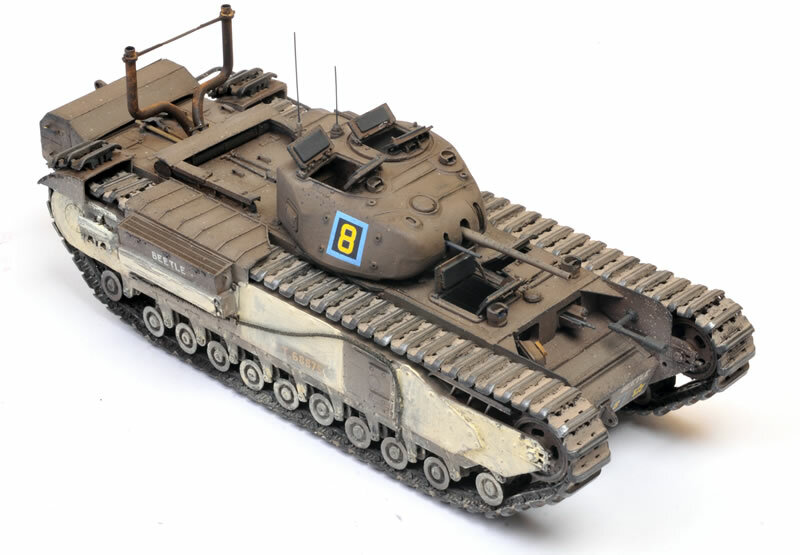 Here's my latest completion - Inside the Armour's Churchill Oke conversion applied to the 1:35 scale AFV Club kit. 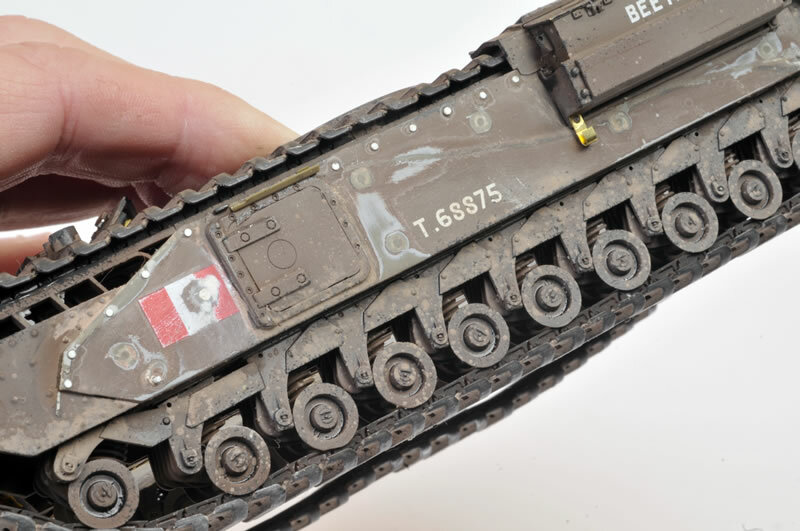 AFV Club's early-version individual track links were also used, and decals are from Echelon. I originally finished this model with the prominent hull bolts and in a typical overall SCC 2 Brown colour. However, after I posted a few photos of this model to Facebook, Steve Osfield posted a photo of "Beetle" abandoned on the beach at Dieppe in replt. While building and painting my model, I used two small photos of the front and the rear of this vehicle as reference, but they were small, dark and contrasty, making it almost impossible to tell anything useful about camouflage. However, Steve's excellent full-length photo showed something very strange going on with the colours of the hull. It appears that there were large, well-defined but fairly roughly applied areas of a paler colour. 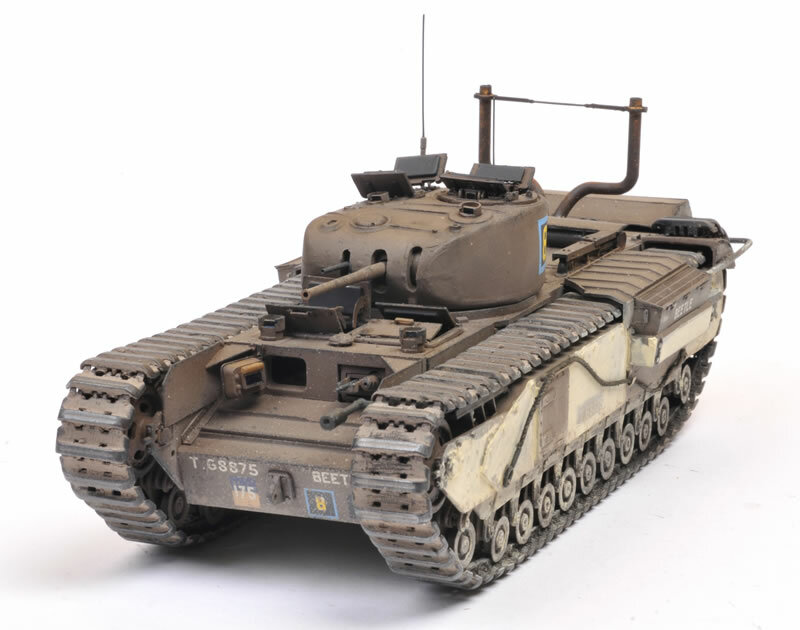 These seemed to be far too uniform to be random weathering, but I could not find any documentation of this as a camouflage scheme, and Churchill-fancier Chris Meddings couldn't offer an explanation. Despite this, I decided that it was not too late to correct my model. I carved off the bolts and the mud channel, filled and sanded the hull sides, added small punched bolts at the top sides of the hull, and repainted the area. In the end, I only tried to reproduced what I could see in the photo. My guess was that these might have been some sort of temporary identification markings for a formation vehicle, and that it may have been a mix of petrol, sand and/or mud brushed roughly onto the hull sides. I tried to duplicate this effect with layers of pigments mixed with water and sealed with lacquer-based flat coats. Thanks to Steve and to Chris Meddings for their input on this one. 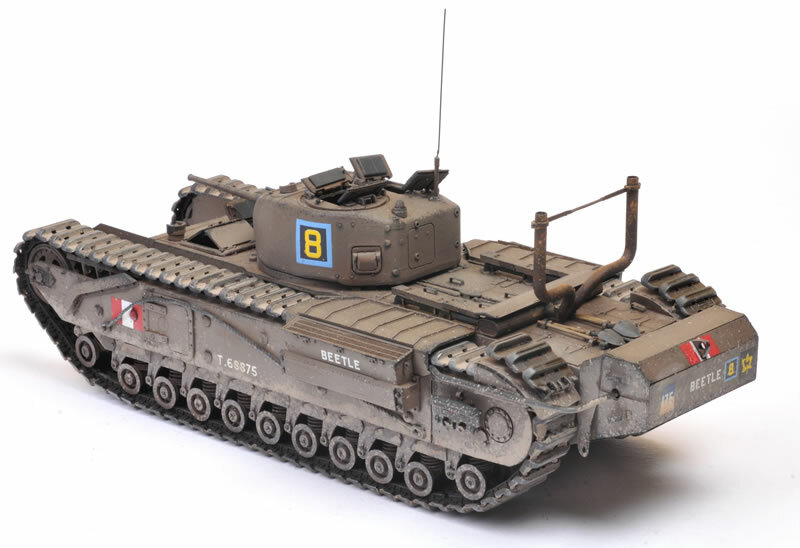 I detailed the construction and conversion in Issue 113 of Model Military International magazine and will describe painting, finishing and corrections in Issue 116.